Guest Post submitted by Lilyana B. Students from Secondary School "St. Patriarh Evtimiy”, guided by experts, conducted a field study of the Maritsa River water quality testing 4 physico-chemical water quality parameters. The measured values for pH (7.9) and dissolved oxygen (13.19 mg/L) indicate that there is no deviation from the set norms. 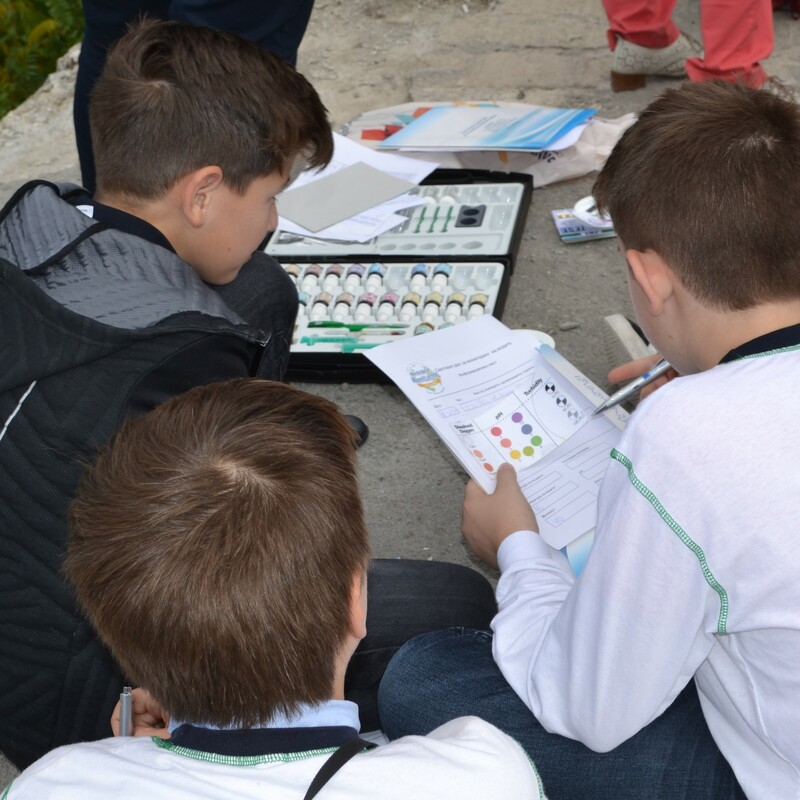 The experts from East Aegean River Basin Directorate and the regional laboratory of the Executive Environment Agency in Plovdiv have explained to young ecologists why it was necessary to monitor the water quality periodically. The results from their tests will be shared with the World Water Quality Database maintained by the EarthEcho Water Challenge at www.monitorwater.org.